Ok, maybe not. But I try. Usually I try to get someone else to do it, but this year it’s all me. 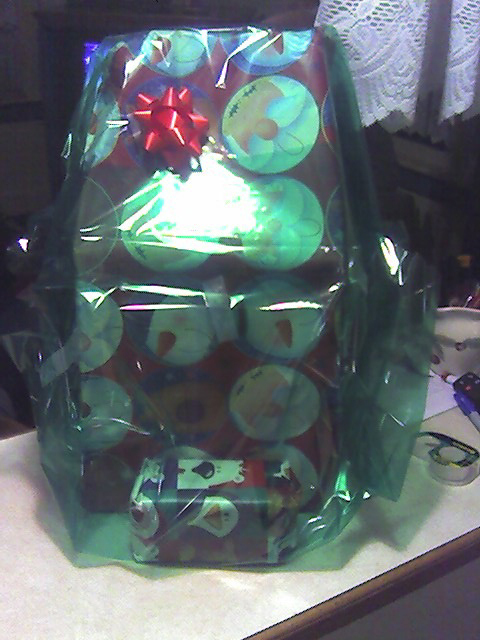 I did have quite a few offers from other people to help me wrap the gifts, though…. including from the one and only Gaily Waily! Gail is pretty much one of the coolest girls you will ever meet. She goes to Bridge: Elmora. She is an amazing soccer player. I mean, really good. I saw her score a goal over the heads of about 20 other players while playing defense. She also runs mad fast on the soccer field. She loves Mountain Dew with a borderline obsession. She’s just all around awesome.